From Beatrix Potter’s diary written during her visit to Birnam in 1892. “I asked Miss Duff to show me her spinning wheel. It is very pretty but wants mending. Mr Mackenzie, the photographer wanted to buy it, and Dr Irvine for a better reason, but they will not part with it. There is a rather touching story connected with it. There was once a Mr Irvine who was Minister of Little Dunkeld. It must have been a long time ago, for he was grandfather to old Mr Irvine of Pitlochry who is over eighty. This minister ‘came of poor folk’, in fact he was once employed as a herd-boy by old General Stewart of Garth, who took a fancy to him and sent him to college, which the rascal repaid by running away with his benefactor’s daughter. They were married by moonlight under a tree. General Stewart refused to see his daughter but the minister made his own way and was appointed to Little Dunkeld. One day the General posting through Dunkeld stopped to look at the view and spoke to a lad herding a cow. Whose cow was it? The Minister’s, Mr Irvine. Tell Mr Irvine to send to such and such a place and they’ll be another cow for him. The Minister sent for the other cow and it was the beginning of a reconciliation. It is said that when General Stewart came to see his daughter, she, in great perturbation, hid away the cradle but it was all made up and they lived happily ever after - with one sorrow to the mistress of the spinning wheel. They had a daughter named Clementina, a beautiful sweet young lady; she married an officer, died on the passage to India and was buried at sea. 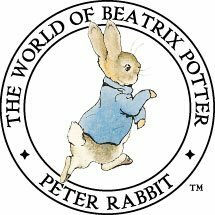 As occasionally happened, Beatrix Potter was a little incorrect with her facts. General Stewart never married and the lady in question was his sister not his daughter. Old Dr Irvine living at this time was the son of the Minister, Mr Irvine not his grandson. However, General Stewart was a very gentle and generous man and the anecdote related illustrates his inherent kindness.